WAIST HIGH: Tesco To Release Ultimate Madness. Tesco To Release Ultimate Madness. From Madness Central: Steve Bunyan, Director of Marketing at Union Square Music, sent along a note to Madness Central alerting us to the release of a new Madness compilation CD entitled Ultimate Madness which will be available exclusively at Tesco and tesco.com. 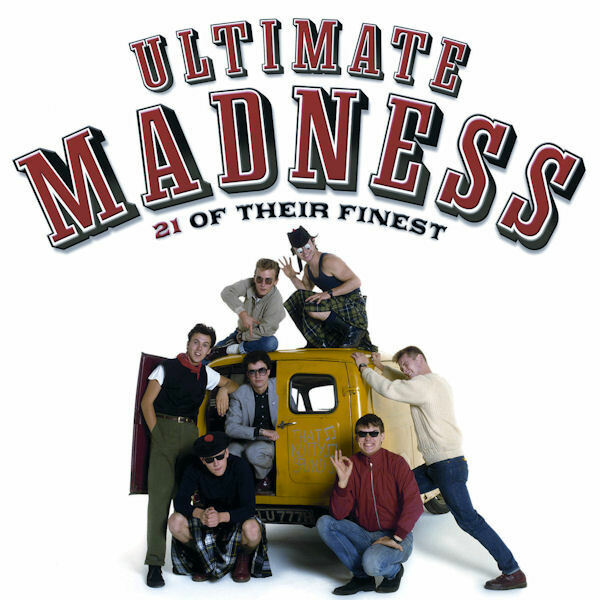 Here's what Steve had to share: You may be interested to know that we are releasing a 21 track single CD Ultimate Madness best of exclusively with Tesco for Father's Day. Nothing new for the fan I'm afraid but with the power of Tesco behind it, it will hopefully sell well and keep reminding the great British public about our favourite band. A standard single CD version of One Step Beyond (with the original album track listing and artwork) will also be exclusively available from Tesco ahead of a more general release later in the year.